Fear is in the boat. Why? Because the boat is in the storm. Matthew describes the scene like this: “Suddenly a furious storm came up on the lake, so that the waves swept over the boat. But Jesus was sleeping.” (Matthew 8:24). The Greek phrase for this furious storm is “megas seismos.” We associate seismic activity with earthquakes. Here, the Greek uses the word for a storm—a mega storm. This storm must have been something to rattle these seasoned mariners. Fear was in the boat. Jesus was there, too. Sound asleep. Storms come in life. Sometimes mega storms. The big question is: Who’s in your boat? If Jesus is there with you, you have nothing to fear. The wind and the waves obey him. 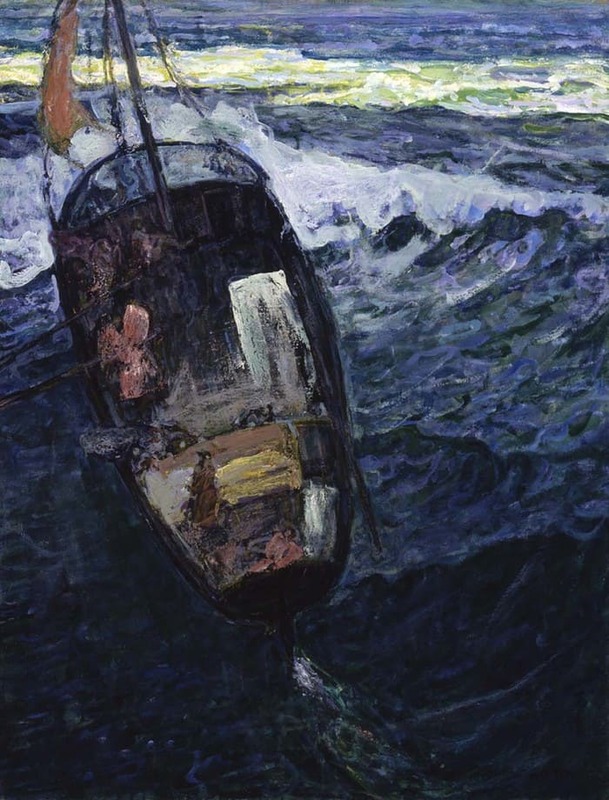 Painting: Henry Ossawa Tanner, “Fishermen at Sea”, ca. 1913.